This lot contains the original hand-drawn pencilled-and-inked artwork by Mike Zeck and John Beatty, along with the matching hand-painted blueline artwork by Phil Zimelman used to produce page 61 of The Punisher: Return to Big Nothing graphic novel. 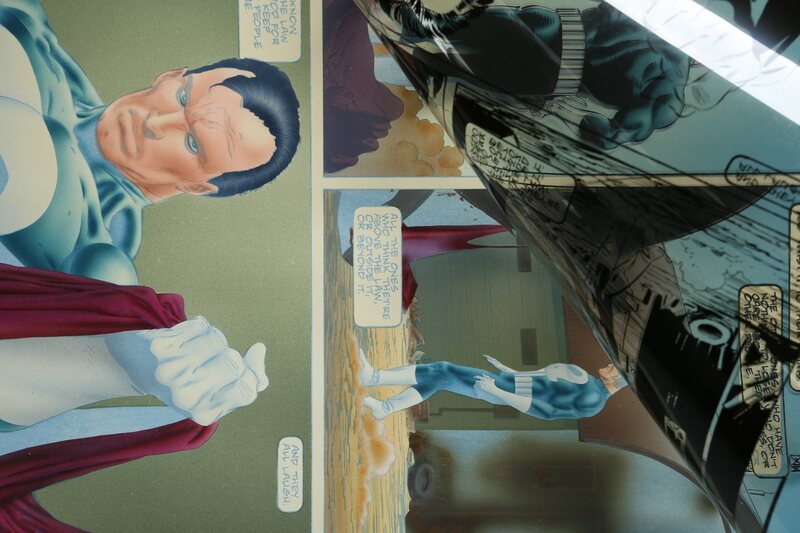 The top left panel was also used on the back cover of the graphic novel’s hardcover publication. 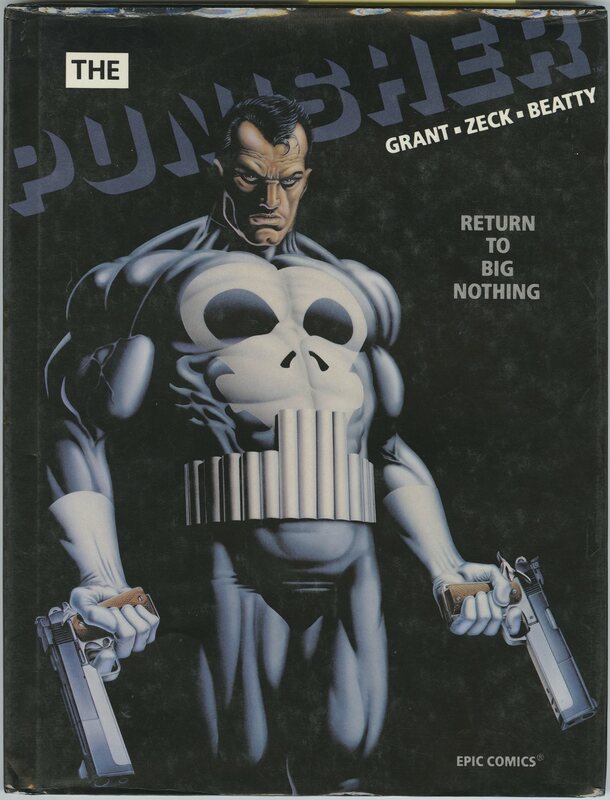 The Punisher: Return to Big Nothing graphic novel was the first and only time the original creative team of the classic 1986 The Punisher Limited Series (Steven Grant, Mike Zeck and John Beatty) returned to the character. 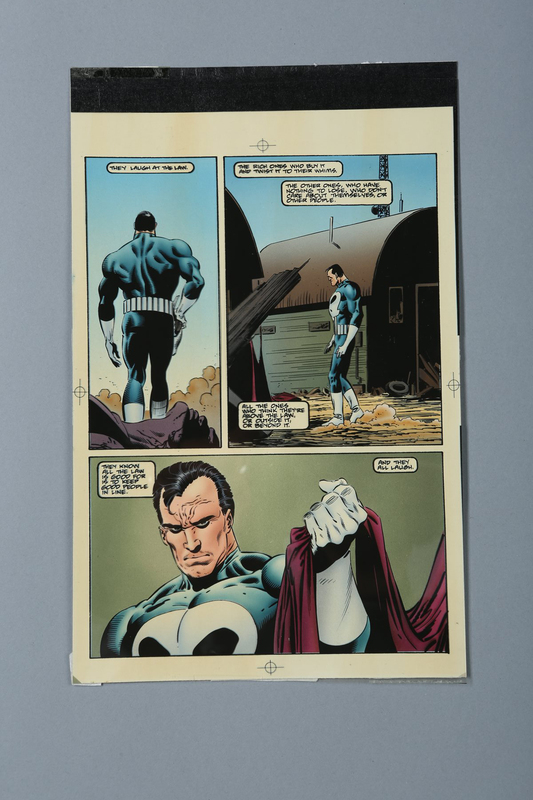 The Punisher Limited Series turned the vigilante, Frank Castle, from a supporting character into one of the most popular characters in the Marvel Universe during the 1980s. 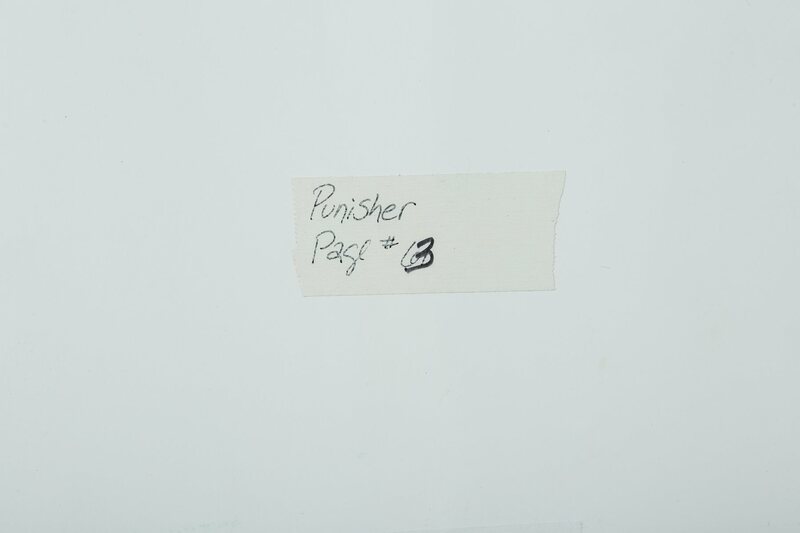 This particular story recounted Frank Castle’s time in the military and his interactions with corrupt members of his unit. 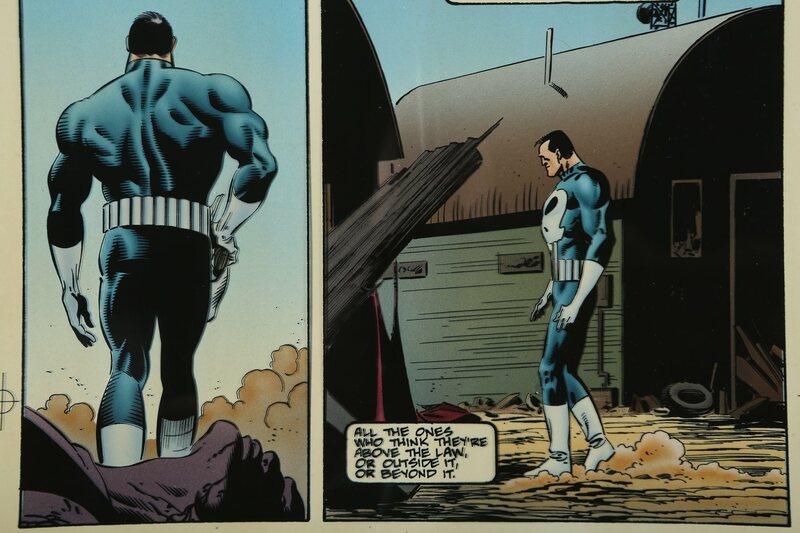 The first season of Netflix’s Punisher television show was, in part, based on this storyline. 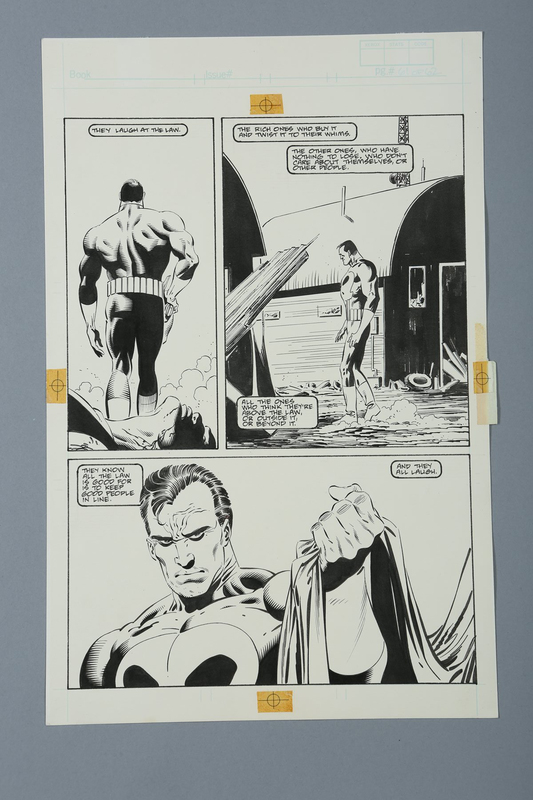 This original pencilled-and-inked page 61 artwork is rendered on Bristol board by penciller Mike Zeck and inker John Beatty. 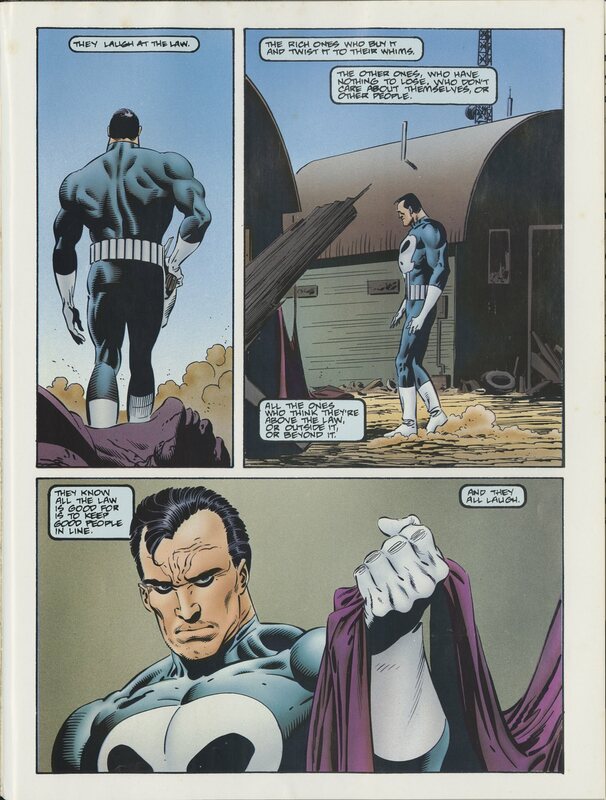 The full-colour version was painted in airbrush and coloured inks by Phil Zimelman over a blueline copy of Mike Zeck and John Beatty’s art. 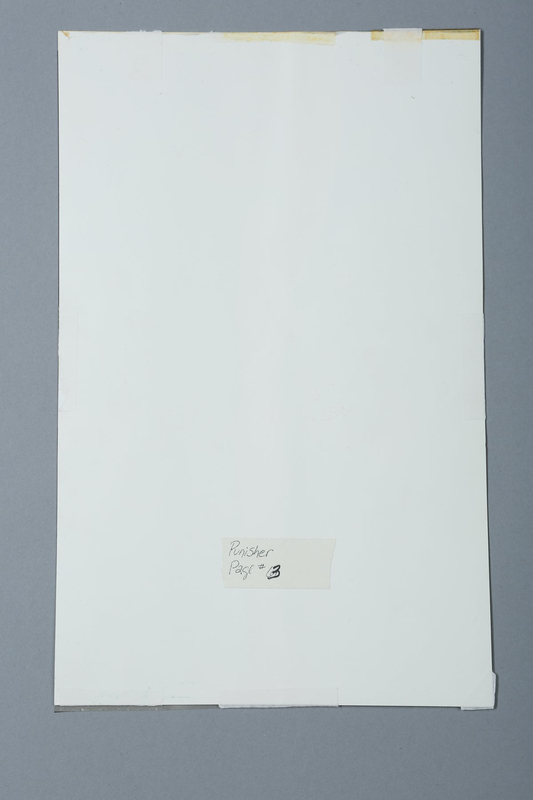 An acetate overlay was created during production and placed over the colour artwork to complete the image. 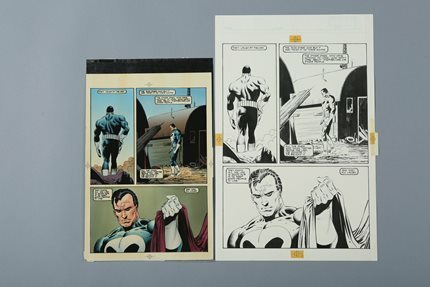 The artwork features three panels from the climax of the story, each showing The Punisher, as he confronts his adversary Sgt. Gorman. 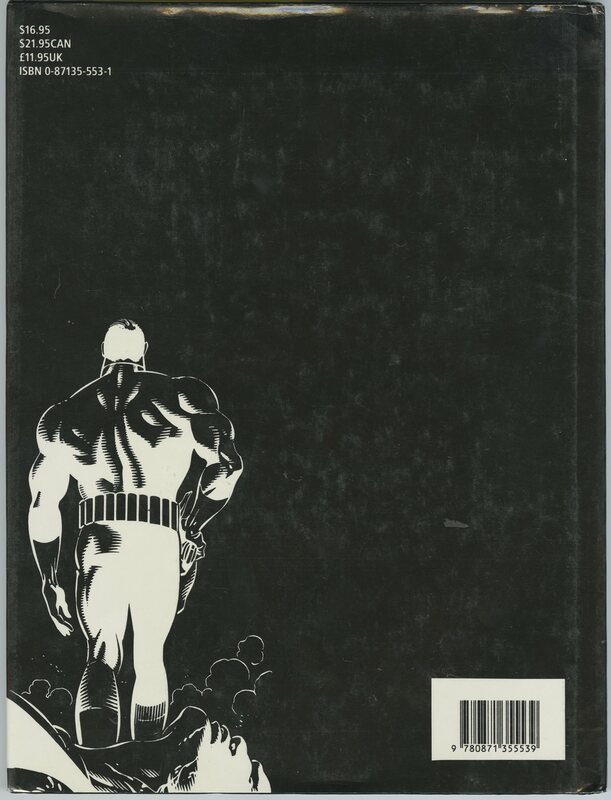 Accompanying the lot is a reference hardcover copy of The Punisher: Return to Big Nothing, the comic book in which this art was original published. 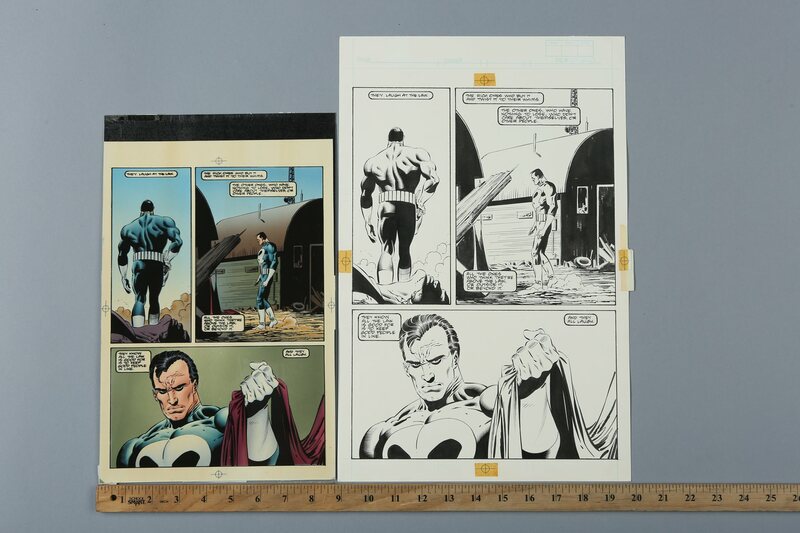 Both artworks pair are in very good condition.